In 1954, greatness was born. It came in a peculiar package and was inherently inclined towards destructive ends, but it was greatness nonetheless. Are we talking about the birth of the super-secret, ultra-conspiratorial Bilderberg Group or maybe the dawn of the super-idiotic, hyper-congenial Miss America Pageant? While both may well peg the bad-o-meter and are more than a little creepy in their own ways, and both did indeed first hit the scene in ’54, the target in mind here is something much bigger – and much more dangerous. We’re talking sky-high bigness and nuclear-level badness, all in one monstrous package. For those of you who are, for whatever unthinkable, unforgivable reason, out of the loop on this one, Mr. Godzilla is the big green big screen star who first rose from the Japanese seas and ascended to pop culture superstardom through the 1954 release of a film creatively entitled, you guessed it: Godzilla. As the twenty story-ish star of the nearly thirty flicks that have followed that fateful maiden voyage, Mr. Godzilla has grown into a larger than life, nuclear-fueled cultural icon. Using everything from his ginormous tail to his lightning-like breath, this particular icon has made his mark and cut his teeth, so to speak, by trampling, toppling, or terrorizing anyone or anything that hit him the wrong way. He’s huge, powerful, and very much an “ends justify the means” kind of guy; a monster willing to destroy and/or eat up anything unfortunate enough to get in his way. Kind of like Michael Moore. As the likes of misters ‘zilla and Moore remind us: self-absorbed, destructive monsters are always ultimately going to behave like self-absorbed, destructive monsters, and the consequences are never good for the fake people of fake Tokyo, the real people of real America, or anyone anywhere in between. Believe it or not, Godzilla is important, and not just to the fake people and fake tanks of fake Tokyo. There really is a lot about the big, green, nuclear-powered lizard that is worthy of notice and contemplation. He’s serious, he’s powerful, and he’s all about action. He’s a monster with convictions, you might say, and, more importantly, he’s a monster equipped with the means by which to bring others in line with those convictions…or at least drag them along for the ride. 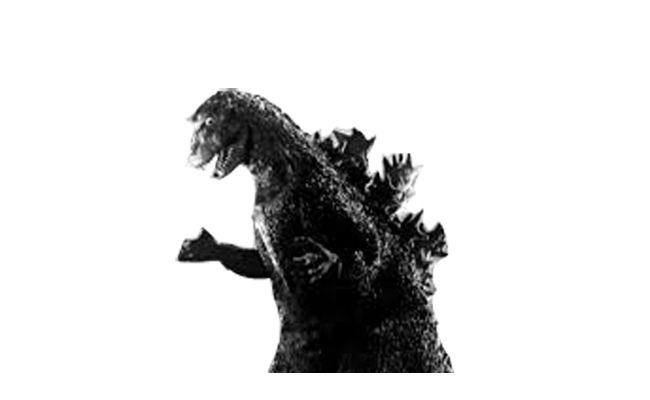 Mr. Godzilla’s seriousness and power are the attributes that he’d very much like for us to focus upon during our evaluation process. After all, Mr. G has a reputation – a legend, even – to preserve and build upon, and all of those awe-inspiringly cool tidbits about his incredible power and supernatural ability do tend to support and encourage just the sort of supercool, bad-boy monster image that he relishes and relies upon. It’s only natural that monsters have monster egos, and Mr. G is certainly no exception to this rule. Where the guy wearing the goofy green Godzilla suit while doing his dead level best to credibly, confidently tromp around a cardboard incarnation of downtown Osaka is dependent upon our missing (or choosing to miss) the seam in the suit, Satan relies upon our missing far more inconvenient truths. In fiction, this is called “the willing suspension of disbelief”, and it can be a very beautiful, God-glorifying thing. We like our Godzilla movies (well, some of us do, anyway), and we are willing to play along. A healthy, vivid fantasy life is a gift from Him to us and we should, as with all things, aim to cultivate and enjoy it to His glory. In reality, however, we are not well served by missing or choosing to miss the seams in the suit of the enemy. This common approach to dealing with the Devil could be rightly described as “the willing suspension of belief”, with belief here understood as belief in what the perfect Word of God has made plain. Scripture gives us so much, both in quantity and quality of detail, where the nature of Satan is concerned, that we are indeed very well equipped not only to identify his weaknesses, but conquer him completely on the field of battle…if only we’ll believe the Word of Satan’s maker and owner. In this, we need not see the enemy as an indestructible, unstoppable force of evil capable of rampaging through the countryside (or Tokyo-like cityscapes) with impunity, doing whatever he pleases, whenever he pleases and however he pleases. We need not imagine him as actually being Godzilla-like in this way. We can’t allow ourselves to believe the enemy’s own press. We can’t buy into his ad campaigns. We can’t swallow his self-serving presentation of implied invincibility and omnipotence…attributes which only belong to the very God against whom this enemy rebels. When we know that we are dealing with a limited, doomed enemy – one who has been made purposefully by God according to the purposes of God and for the ultimate glorification of God – we have taken an early, essential step towards defeating the enemy by first properly identifying him. Put another way, when we believe and embrace the biblical account of Satan, we will then properly see him not as an unstoppable monster, but as a very limited creature pretending to be infinitely more than he is while dramatically pouting and stomping around in a goofy suit that is absolutely loaded with poorly hidden (and often comical) seams. The Devil would love for us to do one particular thing above all others: Look at him. Only him. He would love nothing better than for our consideration of him to be centered on him, defined by him, and perpetually built upon his presentation of himself to us. This is precisely why it is so important that we center our understanding of him on our understanding of Christ’s nature, as revealed in His Word. From there, everything will fall into place…but only if we take that right fork in the road every time that it presents itself. If we choose the other path – the one that is defined by the Devil and for the Devil (and tends to be off to the left) – we are certainly and deservedly doomed to lives of frustration and failure as he goes about the business of happily playing the role of Godzilla to our unnecessarily self-assumed role of fake Japanese tank waiting to get squished. When he defines the terms of battle and the nature and abilities of all combatants taking to the field, he wins. When plastic tanks take on the invincible Godzilla, Godzilla wins. Every time. It is the other option in that fork in the road – the right way; the narrow path that our culture has rejected again and again one fallen individual at a time – that is our one and only passage to victory over a very limited, rather pathetic, and ultimately doomed enemy. This is where hope lies, and finding our way to that higher road requires that we take stock of how far down the wrong path we’ve gone and where exactly it was that we first took that hard left turn. Long before “the Devil went down to Georgia”, he had secured near total control over Main Street through his reshaping of the family and church. By pointing to “un-definition” as the enemy’s approach to these core concepts, we aim to focus less on any single one of the practically limitless alternative definitions and lifestyles that Satan might advocate in replacement of the God ordained originals, understanding instead that the enemy’s goal is simply to get us to accept any alternative to Truth and its Author. The enemy knows that once our eyes , hearts and minds are diverted from God in any area, that area has been won by him. The first goal of the enemy is always to corrupt God-centered perspectives. Only then can the truth of God be redefined, or un-defined, into whatever “alternate truth” the enemy sees fit to promote. When we, through our self-centered, willing compliance, play along with the enemy’s plans to reshape the essentials of life – concepts like family, church, truth, education and love – we are setting the stage for his victory and our doom. This is what the Devil – and most contemporary Americans – call “progress”. Where once we were a people consecrated at least in some meaningful measure to the glory of God, we are now very clearly a smoldering republic dedicated to the glory of man. Where once the Gospel pulsed through the land, inspiring the next generation of statesmen and women through the careful guidance of God-fearing parents and elders, we now assume that future American leaders are, at this very moment, likely to be drunk, stoned, and whoring around as a part of their (unending) “adolescence” and quest to “discover themselves” by “sewing their wild oats”. From a biblical perspective, present day America can only be considered a “Christian nation” if terms like “Christian” are un-defined and then redefined by Satan or any other anti-Christ. So it is that we see Barack Hussein Obama is indeed quite correct when he says that America is no longer a Christian nation. What’s more tragic than this truth is that professing American Christians are, far and away, those most responsible for making this so. The professing church in America has accomplished this tragic outcome by doing that one thing the Devil loves and encourages as no other: Taking its eyes off of the Lord and looking everywhere else for answers. Once the eyes and hearts of the average professing Christian in America were diverted from Him and to…well…anything or anyone else…Main Street was well on its way to becoming the wholly owned property of the enemy. Its occupants became his slaves. Their goals became his goals. And their end became his end. Man-centered love is a taproot to corruption, and it permeates the heart of fallen human nature. Fallen men and women are, ultimately, all about serving the interests and desires of fallen men and women. They are comprehensively self-referential and self-obsessed. They are their own standard-setters. They are their own moral guides. They are their own masters. They determine their own fate through their own works, by their own standards and in pursuit of their own dreams. They are very American, they are very Progressive, and they are very much at war with God. When we believe that we can sever any area of life from an explicit association and attachment to the one and only true God of Scripture, and that anything but pain and despair can come in the wake of such a shift, we are courting – no, we are securing – disaster for that area of life. When we understand that the Progressive goal is to sever Christ from all things, we can – and must – clearly state that Progressivism – be it of the liberal or conservative flavor, in its desire for comprehensive Christlessness, aims for nothing better than the destruction of all good things. Every realm of culture and civilization is in the sights of man-centered Progressives. These Progressives come in a wide variety of flavors, from flaming liberal to Christ-claiming conservative, and everything in between. Everything is in their cross-hairs. Everything is to be explicitly severed from Christ as the source and goal of its goodness. And everything will burn and die as a result. This is the reality that has occupied America, from Main Street to Wall Street and nearly every street in between. This is the enemy against which we are called to “wage the good warfare”, “fight the good fight”, and “tear down enemy strongholds”…all through the supernatural Gospel-fueled Great Commission. When we wield the weapons given by God to His people for that Great Commission, there’s not anything that the enemy can do to stop us…no matter how hard he huffs, puffs, poses, and pretends.